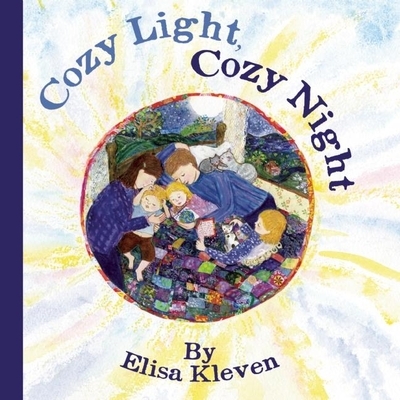 Richly illustrated, Kleven's latest picture book feast presents a year of everyday wonders, giving children an opportunity to snuggle up with a parent and enter into a warm, cozy world, where even the planets are tucked cozily into bed along with the shining stars. Elisa Kleven is the author and/or illustrator of over 30 children's picture books, among them Glasswings: A Butterfly's Story, Welcome Home, Mouse, The Paper Princess, The Lion and the Little Red Bird, Sun Bread, as well as Abuela, by Arthur Dorros, De Colores, by Jose Luis Orozco, and The Weaver, by Thacher Hurd. Her books have received awards and honors from the American Library Association, The New York Times, The Junior Library Guild, School Library Journal, and the American Institute of Graphic Arts. She lives in the San Francisco Bay Area with her family and pets.